I decided to go for the GlamEyes Liquid Eyeliner in Black Glamour as I prefer eyeliner that can be applied with a brush, and I also prefer thinner lines as I’m quite minimalistic in regards to eye makeup. The eyeliner comes packaged in a small, black pot with a long twist handle that doubles as the applicator. It contains 3.5ml of product. Upon application, my first impression was that this isn’t the right eyeliner for a beginner. I’m okay with liquid eyeliner as I have used it for years, yet even I feel that there is a slight learning curve with getting to grips with the long, thin brush. You may also want a few practice strokes if you are used to a shorter brush length. If you are not used to this sort of brush, you may find yourself creating some rather wobbly lines. It is very thin, so all mistakes show up instantly. 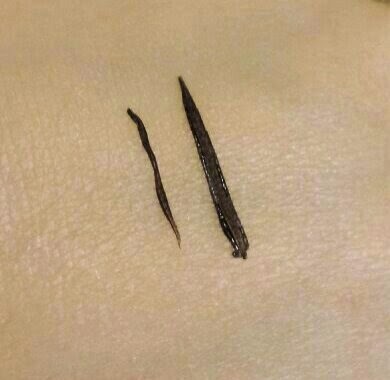 This is why I would suggest avoiding this for a while if you are new to wearing eyeliner. Once you have the hang of the brush, the eyeliner applies smoothly and leaves a fine, bold line. However, if you do make any mistakes or you need to go over a line, you can encounter issues where the original line comes off whilst trying to apply your second. This can then create a bit of a mess, so I recommend making sure that you dip the brush between each stroke to make sure you have enough product to create the bold line the first time. One great thing about the brush though is that it is easy to create flicks with it. The actual brush (and not the handle) length is long enough to get a smooth flick without too much difficulty, so if this is your style, you should be able to achieve this look easily with this product. To create a thicker line, you can add a little more pressure whilst applying. If you want a smooth, thin line, try not to change the amount of pressure throughout application as this can then create a messy line instead. Light and steady hands are needed for that perfect, thin line. The drying time can take a little while. This can be both a good or a bad thing depending on how well the application went. If you mess up a tad, it does mean that it’s easy to correct with your nail or finger quickly before continuing with application. If you got the perfect line first time though, it can mean a wait before continuing with something such as mascara, for example. Otherwise it can mean smudges and mess. Not so cool! smudging that has occurred throughout the day. Once dry, the eyeliner turns matte. It also stays put throughout the day as long as it is left alone. If it gets wet, then it will smudge off, so definitely keep that in mind! It is very easy to remove, so at the end of the day you can have this eyeliner off in no time at all. Overall I think that the Rimmel GlamEyes Liquid Eyeliner is okay, but personally not the best or easiest that I have used. I think that once I have had a lot more practice with the brush I will be a lot happier with it, so you may end up feeling the same way. If you prefer pen style eyeliners then you may not get on with this one so much, but you may also need a bit of patience if you are used to a shorter brush length, as I explained earlier. It is also incredibly affordable, so if you are looking for an eyeliner that won’t break the bank then this is a solid choice for the price. You can pick up Rimmel GlamEyes Liquid Eyeliner for £5.29 from Boots or Superdrug. 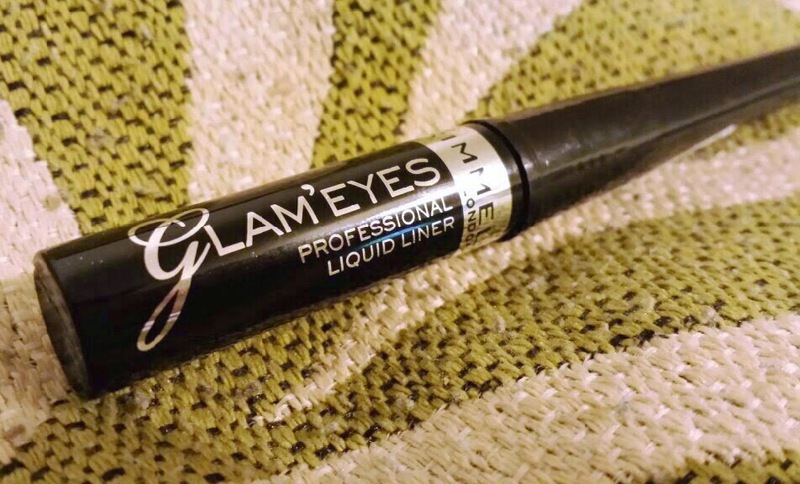 Have you ever tried Rimmel GlamEyes Liquid Eyeliner? What are your opinions on it?